Leela chess is an open fork of AlphaZero. Unfortunately, Google didn’t let us have the program, but they released a paper detailing how they did it , and Leela is the result. Since no single person has the resources of Google, this is a distributed project where Leela trains herself across hundreds of computers. We make up in numbers, what we lack in sheer power. If you want to contribute your GPU to helping Leela chess get stronger, visit the project page and get started! You can also play an online version of Leela at her strongest current strength at http://play.lczero.org/. However, the great thing about Leela is that you can also download the engine and play her at lower ELOs. This is a completely different compared to playing an engine like Stockfish at half strength. Modern chess engines will artificially lower their strength by blundering unnaturally and then play like a GM for the rest of the game. Leela’s games at lower ELOs are much more “human”, making her an excellent sparring partner! 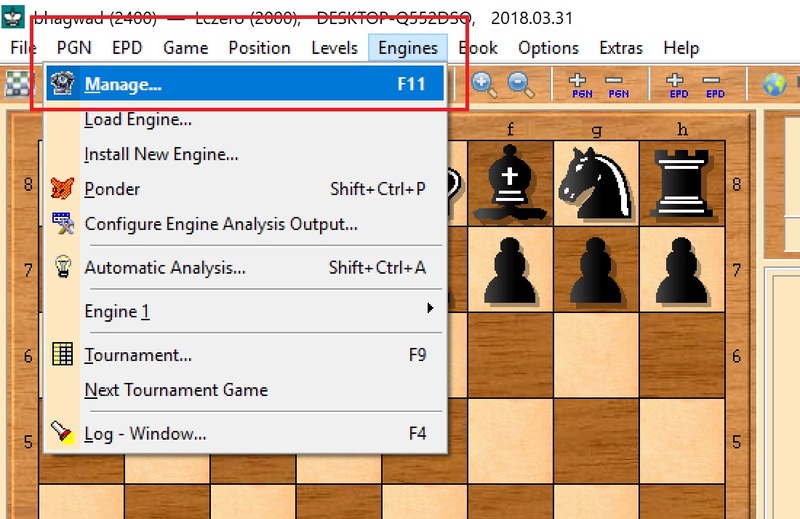 In this tutorial, I’ll show you how to set up Leela on your local PC and plug her into a chess GUI like Arena. The Arena chess program. Available here. As Leela trains herself, she keeps increasing her rating – with a rating of “0” being random moves. Unfortunately, these self play ratings don’t translate directly into “human” ratings. As of this writing, Leela’s self plaly rating is 4343. But her ELO as understood by us is ~2000. With the rating you obtained in Step 2, head over to Leela’s network weights page. This page contains the snapshots of Leela as she gets stronger. Each snapshot is represented by an ID. You can see her self play ELO in column 3. Scroll down till you find the ID that most closely corresponds to the self play ELO you calculated in step 2. 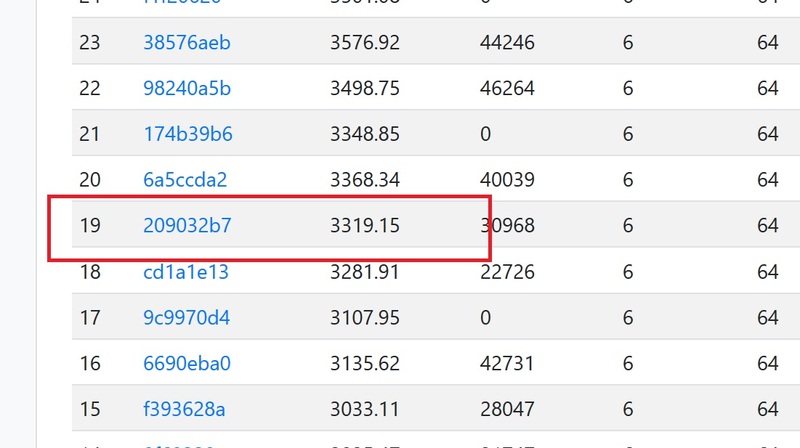 In this case, network ID 19 has an ELO of 3319, which is pretty close to 3352 which I calculated in the previous step. So I’ll use that one. Once your computer recognizes it, decompress the contents. It will be a single file. Make a note of its location. Get the latest engine bundle for your system from the project download link. I’ve chosen the CPU version for Windows, because that’s my system configuration. This will be a zip file. 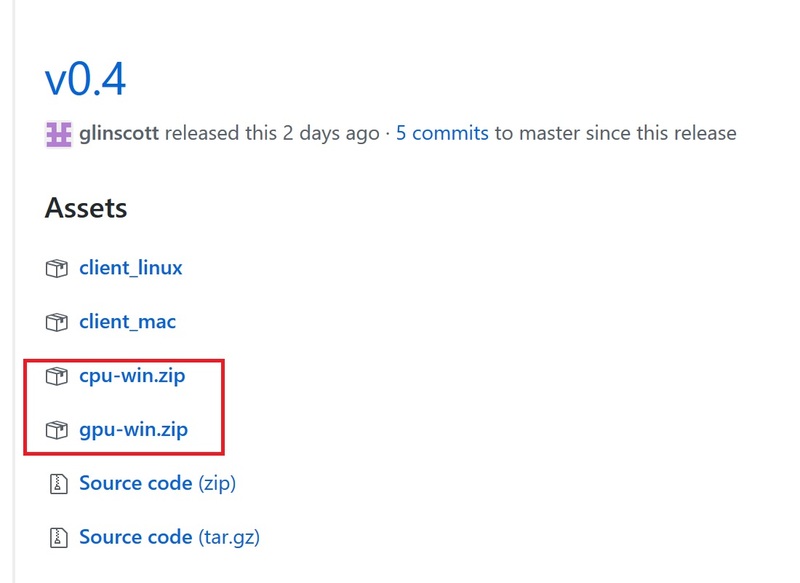 Unzip the contents into a folder called “Leela”. 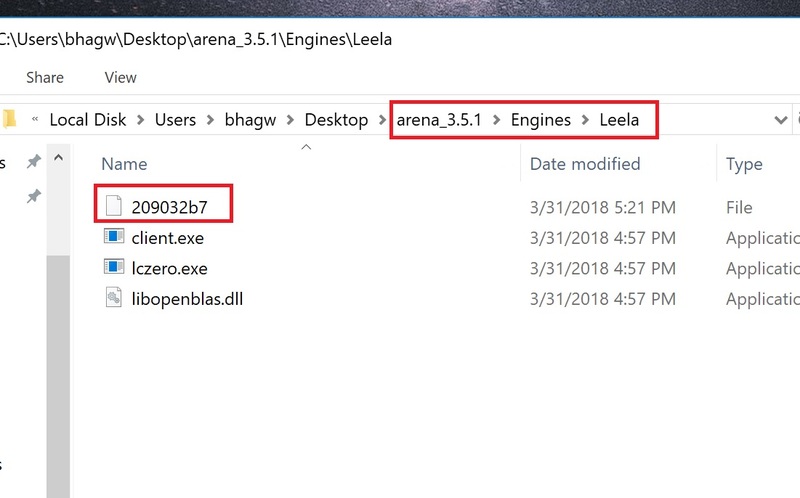 Now it’s time to configure Arena with Leela! This will open a dialogue box asking for the location of the engine. 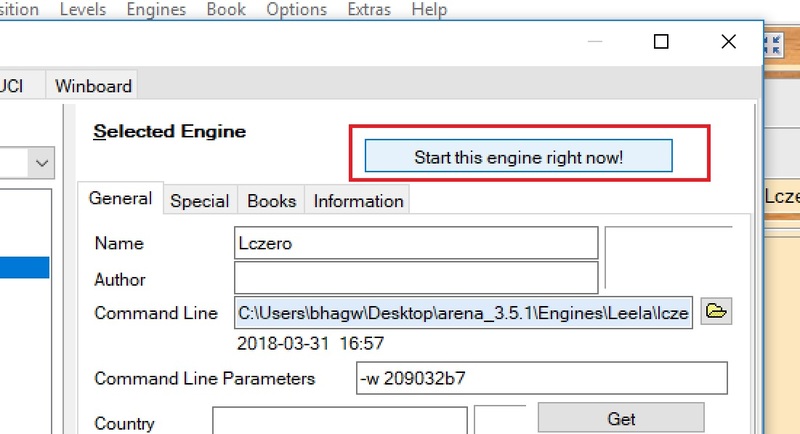 Navigate to the “Leela” folder you created in step 5, and select “lczero.exe” as the engine. Replace the text in bold, with the name of your network weight file. And you’re done! The dialogue box will vanish, and Leela will now be the engine in Arena, running at the ELO strength you selected. Here’s a sample output from the Queen’s Gambit Accepted line. What if the Above Doesn’t Work? Sometimes the above steps fail for some reason. Leela just won’t start. So here’s something that has worked for a lot of people. 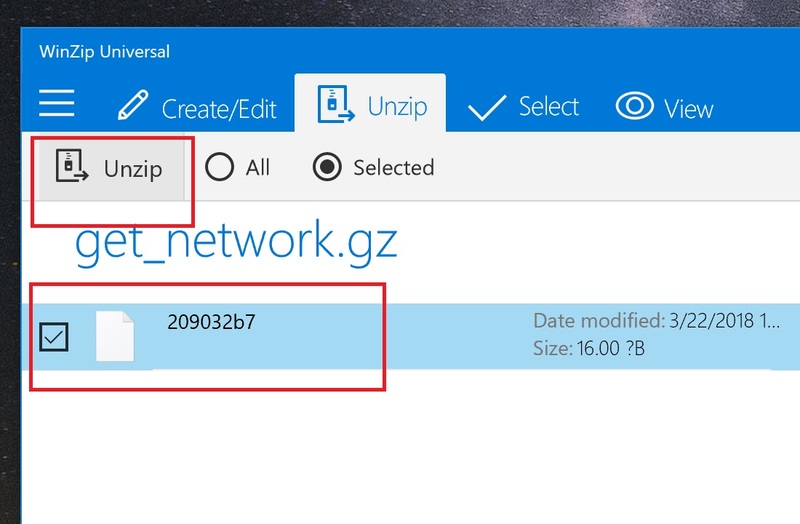 Make sure you replace the section in square brackets with the network weight name you downloaded and unzipped in Step 3. Step 4: Now go set up the engine again. This time, instead of choosing lczero.exe, click the drop down box labelled “Files of type” and select “Batch files (*.bat) instead. Step 5: Now lczero.bat should be visible. 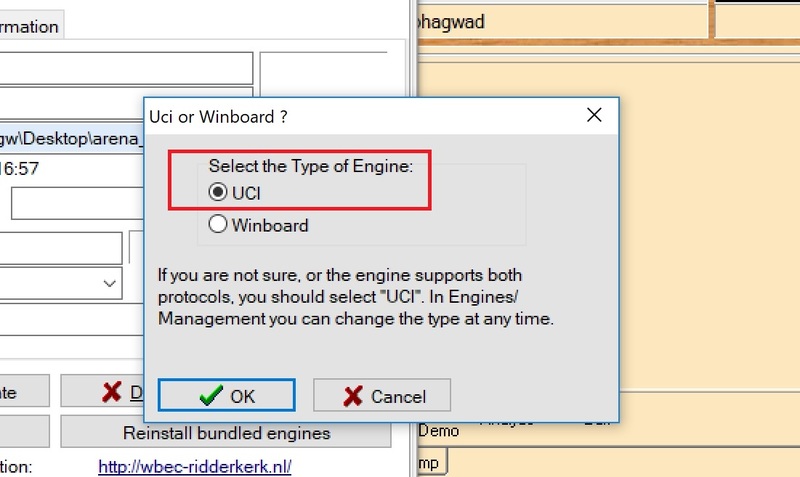 Click on it and choose it as the engine. Now just run your engine! Wait for a while for it to load and do its thing. No need to enter any command line parameters like before. 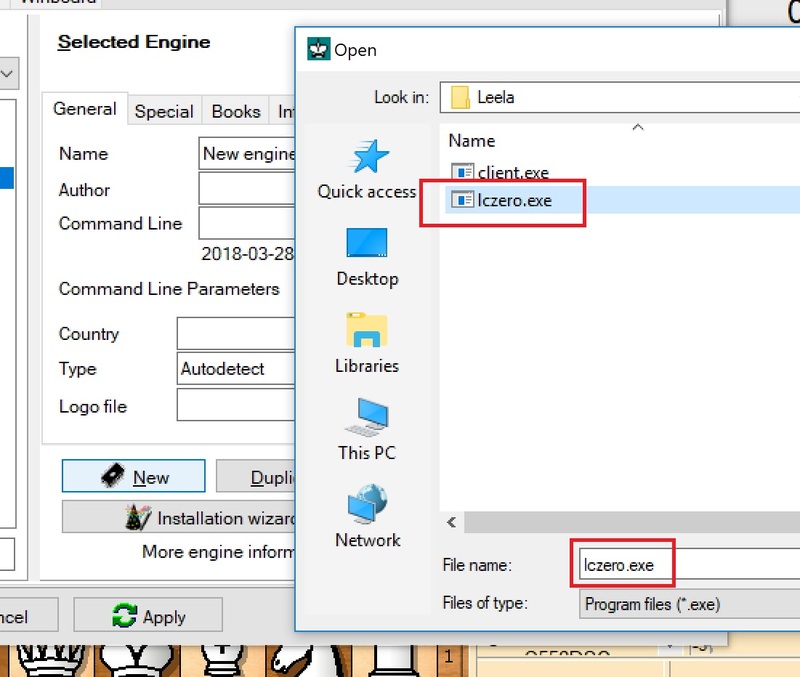 These steps have helped a lot of people when just using lczero.exe directly didn’t work. I hope these instructions make it easy for people to get started with running and experimenting with Leela. 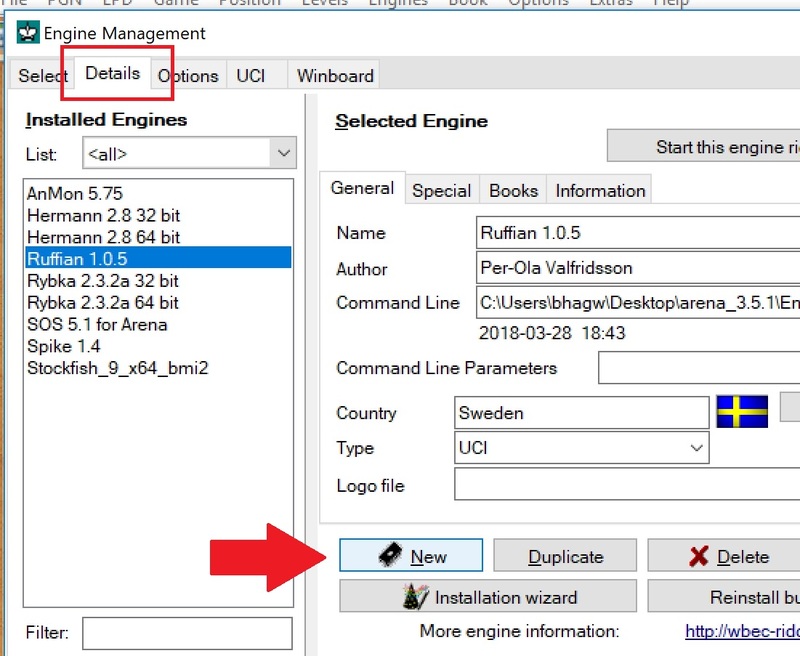 If you have a GPU, you can also use the bundled “client.exe” file to contribute your own GPU cycles for training games to help make Leela better! Some IDs I can use after unpacking but some not, especially IDs with more weight. why when I unzip the gz files (ex: ID 480) it changes to txt files and I can not use its ? Yeah, it’s a bit weird right? Well, if anyone knows how to solve this, please teach us. will be a great help. Did you try to put in command line “-w weights_486.txt” without the ” ” charactes. probably file extensions are hidden by your operating system? Problem solved! I ran the file “Client ” and started downloading the file “network” with more weight. I followed the steps explained above and it worked. 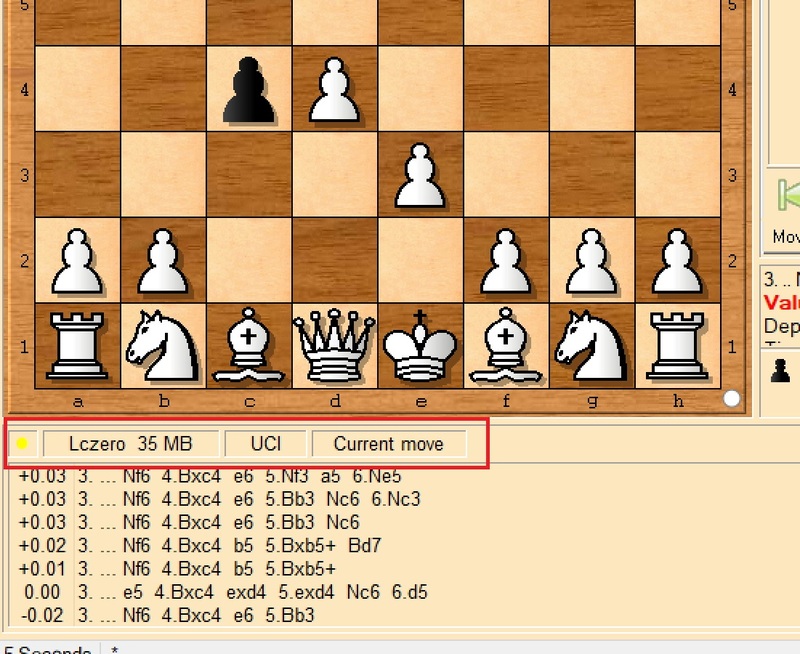 Leela Chess on my PC with Max Power. I hope this information helps other people. So we can just replace the max network file with an older one and it works as usual? Yes, but you have to go back to step 5. I did it!! 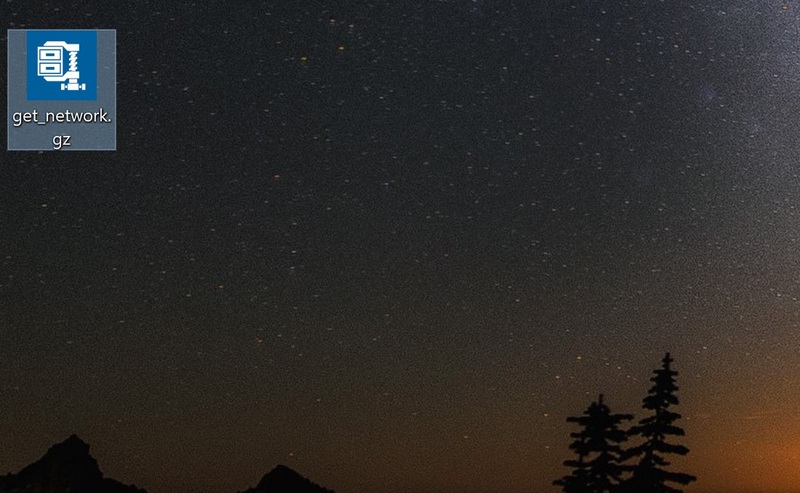 I created several folders with the names, leela1500, leela1700, leela2000 and LeelaMax, with all the files for each folder, as explained in the above steps and in step 6 I did for everyone changing the name. Now I have several engines with different rating to train. I had ID 486 in my example. Only work by the workaround !!! Do Indians Hate Air Conditioners? Why not Divorce if the Guy can’t Live with His Parents?